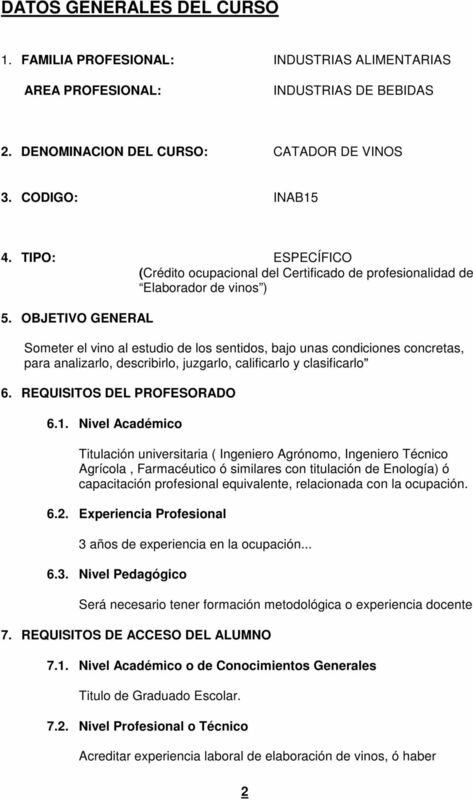 Download "PROGRAMA DE CURSO DE FORMACION PROFESIONAL OCUPACIONAL CATADOR DE VINOS"
PROGRAMA DE CURSO DE FORMACION PROFESIONAL OCUPACIONAL MECÁNICO DE MANTENIMIENTO NEUMÁTICO 1 DATOS GENERALES DEL CURSO 1. 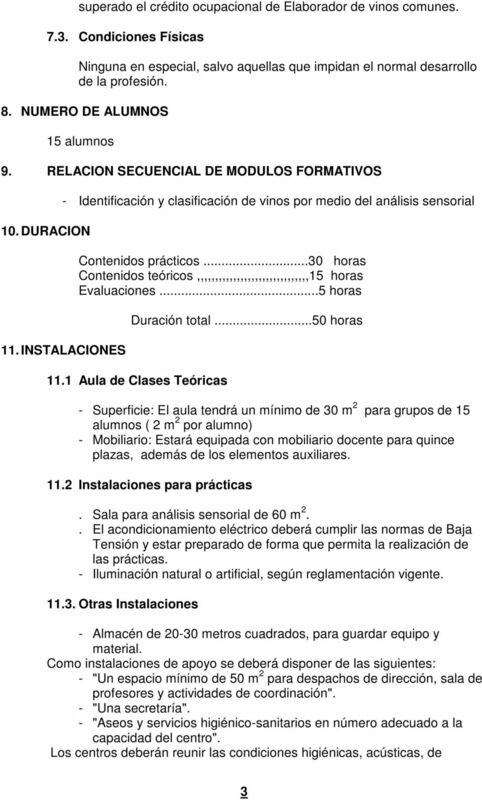 FAMILIA PROFESIONAL: INSTALACION Y MANTENIMIENTO ÁREA PROFESIONAL: MECÁNICA 2. 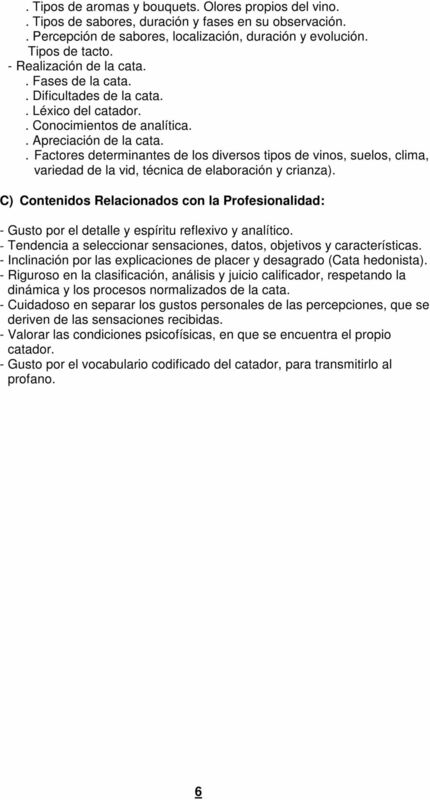 PROGRAMA DE CURSO DE FORMACIÓN PROFESIONAL OCUPACIONAL TECNICO AUXILIAR EN DISEÑO DE MODA JUNIO 2005 DATOS GENERALES DEL CURSO 1. Familia Profesional: SERVICIO A LAS EMPRESAS Área Profesional: DISEÑO 2. 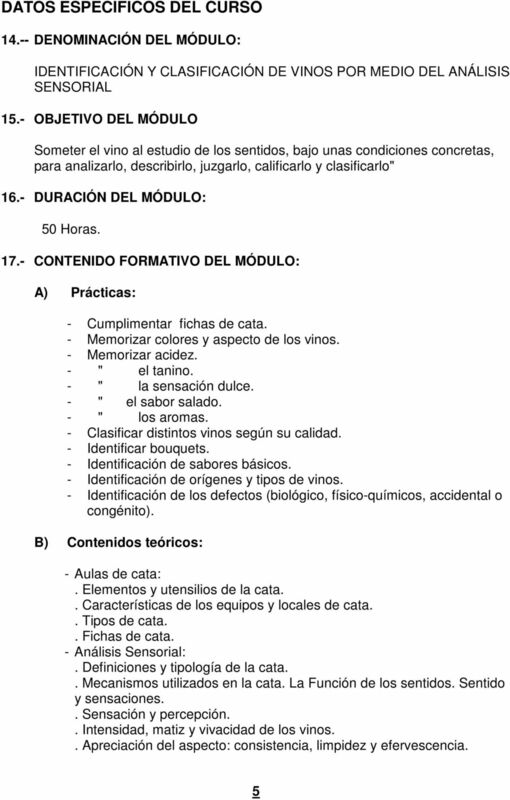 PROGRAMA DE CURSO DE FORMACIÓN PROFESIONAL OCUPACIONAL OPERADOR DE FABRICACIÓN DE FIBRA DE VIDRIO INFORMACIÓN GENERAL REFERENTE AL CURSO 1. FAMILIA PROFESIONAL. VIDRIO Y CERAMICA ÁREA PROFESIONAL. VIDRIO. 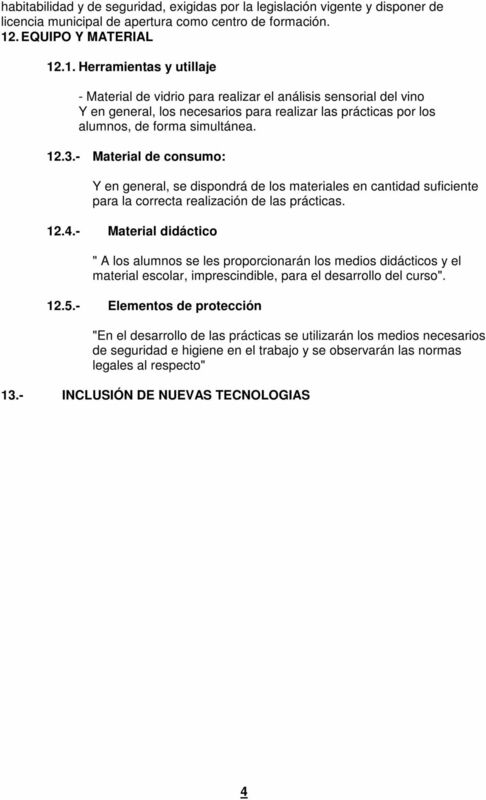 PROGRAMA DE CURSO DE FORMACIÓN PROFESIONAL OCUPACIONAL AUXILIAR DE MONTAJES ELECTRÓNICOS 1 DATOS GENERALES DEL CURSO 1. FAMILIA PROFESIONAL: ELECTRICIDAD Y ELECTRONICA ÁREA PROFESIONAL: ELECTRÓNICA 2.